Make Easter bunny for Spring. Who’s up for some serious cuteness today? 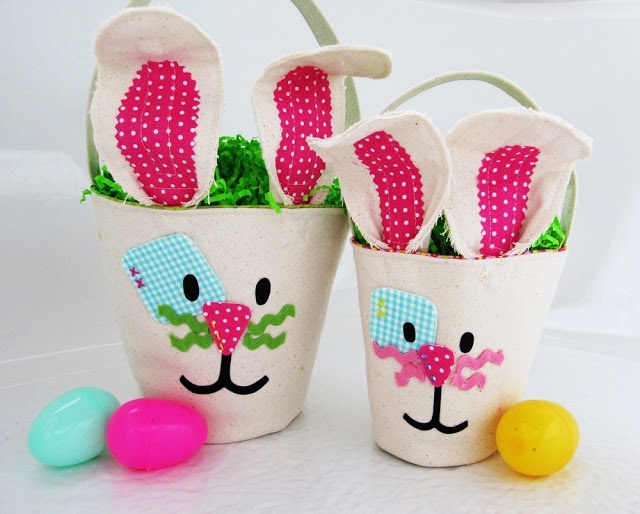 I am sharing the most adorable 20 Easter Bunny Crafts. 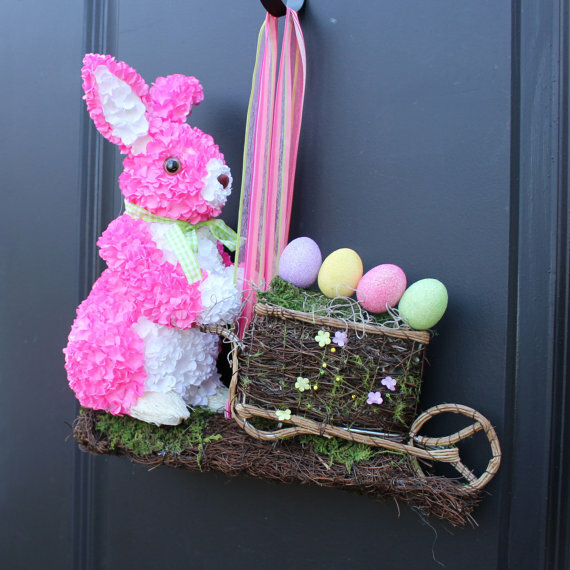 Ideas to make Bunny wreaths and Easter bunny party favors. 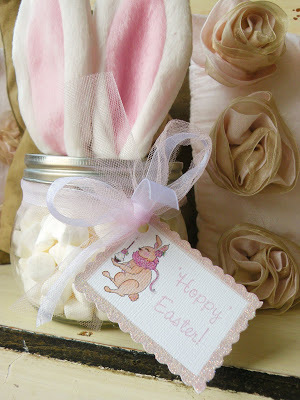 Make bunny jars and Easter bunny arts. 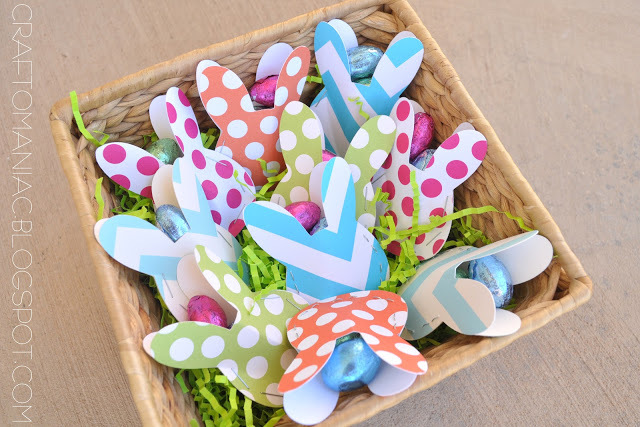 All sorts of creative bunny crafts. Cutest cookies on the block. 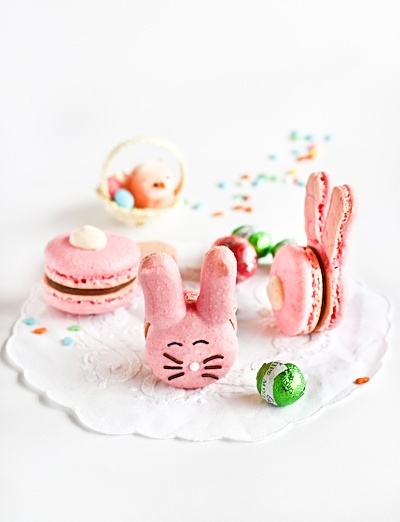 Make Easter bunny macaroons. You can also follow the instruction to make cookies with ears. 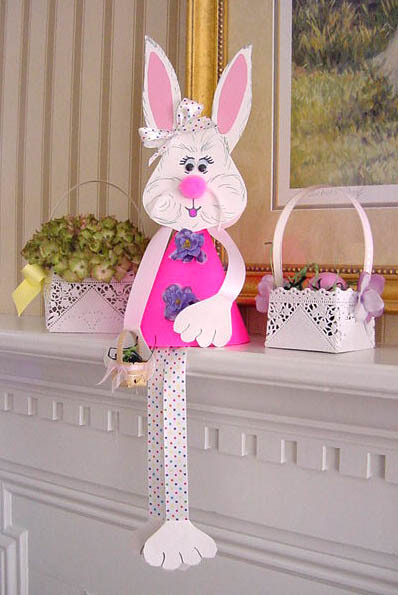 Make a paper Easter Bunny for decorating home. Make Easter bunny buckets using canvas. The bendable ears, rick-rack whiskers and fluffy little tails. Make the bunnies look cute! You can use fabric cut-outs to decorate dollar store buckets too. Just follow the cuteness your way! 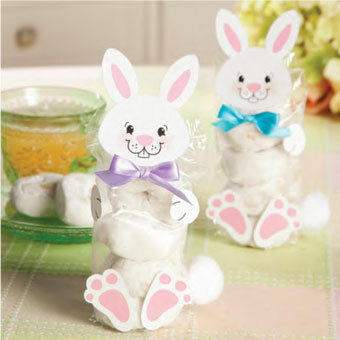 Make sleepy Easter bunny party favor bags. 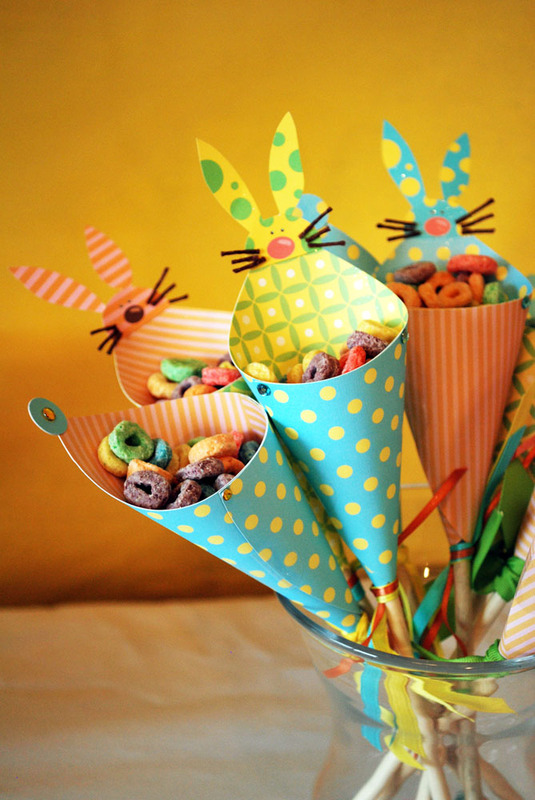 Make Easter bunny party cones. Great for filling party snacks. I love how they have sticks too. I wish these bunnies came with a free template. But they can be easily made. Just cut the bunny face. And glue or punch into the cone. Super cute package of adorableness. A bunny Spring Wreath. The bunny is pushing a wheelbarrow filled with Easter eggs. The bunny can be made by gluing paper petals. You can use foam board or cardstock for base. The eggs are glittered. And the rest of the items can be found at craft stores. You can buy this one at Etsy. Paint and make faces on clothespin. 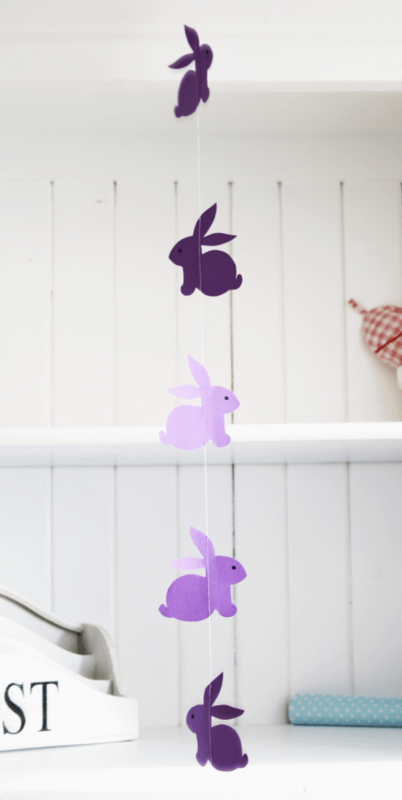 These cute Easter bunnies can make a pretty garland. Or may be a planter. 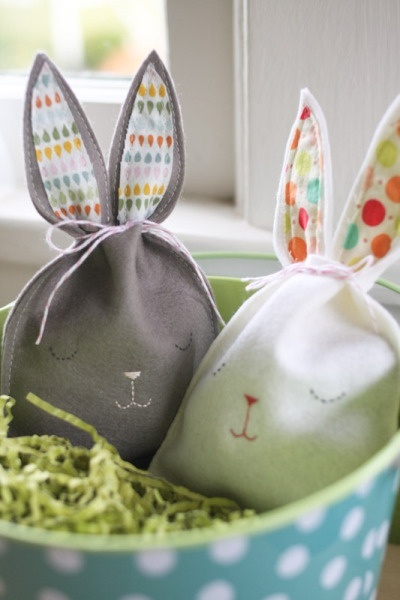 Print these cute bunny free printables. And use as top and base of your package. You can do this with any handmade gift. Add a bow and fluffy tail to complete. Add ears to a mason jar. And tag it with a cute card. 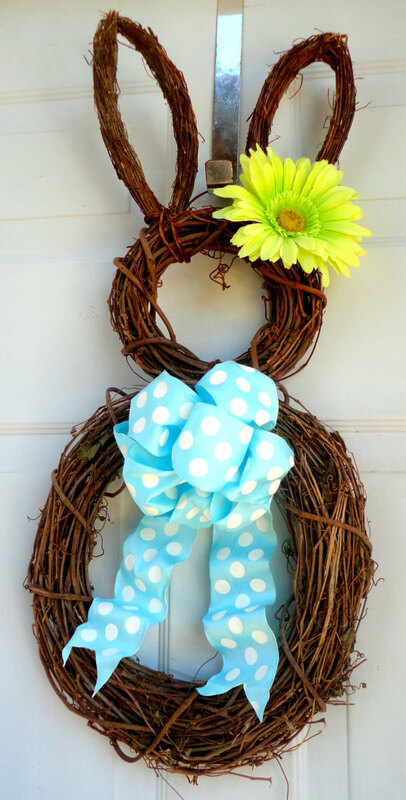 Make a bunny wreath for Spring. Use 4 wreaths in different sizes to shape like a bunny. Add your favorite embellishments. Fold the napkin like a bunny. Great table centerpiece and place setting. This will look adorable in Spring and Easter. You can find step-by-step instructions to fold these bunnies. Cut bunnies out of paper. You can use all sorts of beautiful patterns. These colors are so spring-like. Stable the bunnies together. And fill them with your favorite treats. Cut out cute bunnies from paper. Or felt or fabric etc. 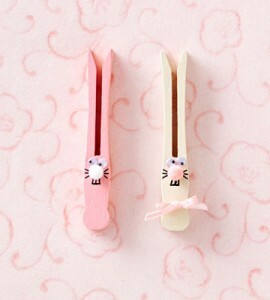 Sew them together to make a cute Easter Garland. Turn pink and white felt into bunny ears. 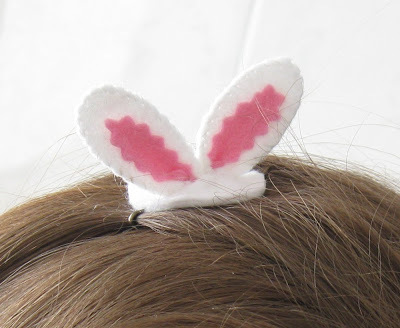 Sew the bunny ears and glue to a bobby pin. Cut pieces of fabric to make a bunny. Sew them onto a fabric. And stretch over an embroidery hoop. 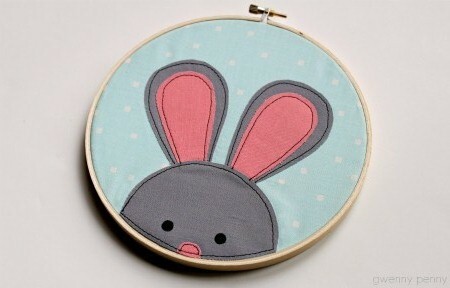 Easter bunny embroidery hoop art. Fun idea for spring and baby room decoration too. 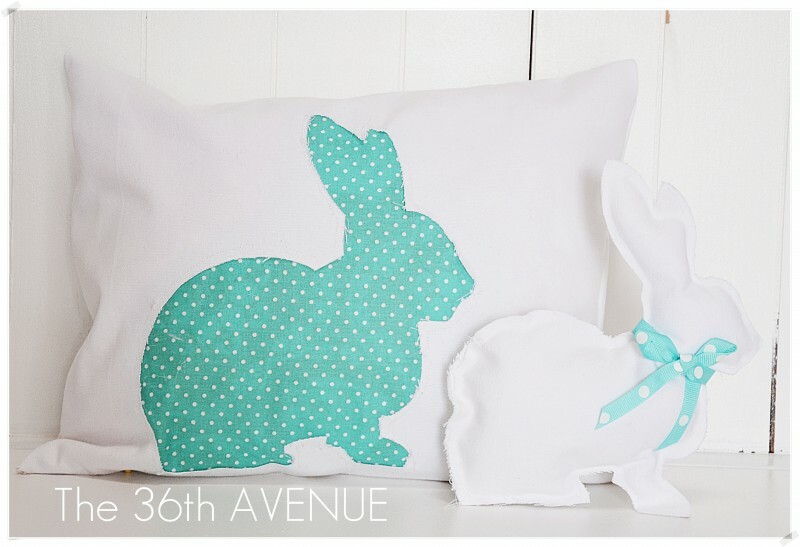 Make an Easter bunny pillow. Cut the bunny and sew it using reverse technique. I love how she put the cut-out bunny into use as well. A simple addition can do all sorts of magic. Just like these jars with bunnies. Simply spray paint and stick on the jar lids. I love this Bunny party. Lots of colorful paper pom poms to decorate the background. 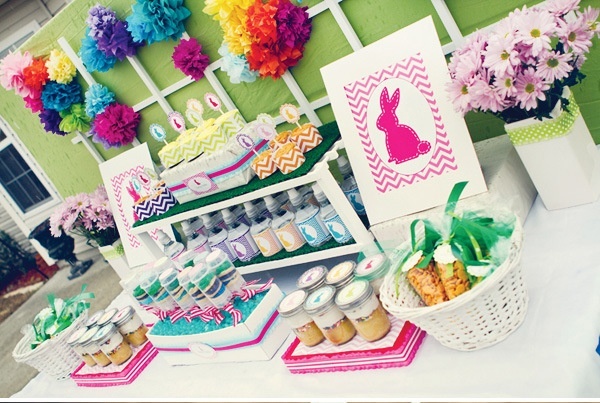 And bunny printable dessert table ideas. The party printables are not for FREE. But are easy to make! 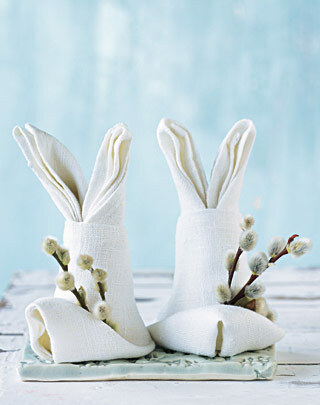 I hope you enjoyed these to make Easter bunny projects for Spring. Looking for more great ideas for Easter? Check out our category EASTER. You may also enjoy the Easter & Spring and Easter Eggs Boards.